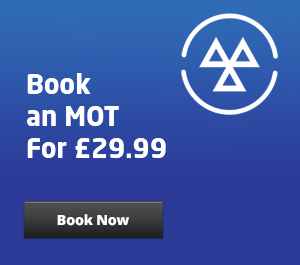 Many of the most common causes of MOT failure are things that you can easily check for yourself. 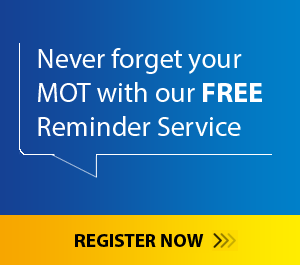 Learn how you can check for some of the most common test failures to potentially save yourself some time and money when it comes to your car’s MOT check with the help of our handy video and guide. Your windscreen is checked as part of an MOT to make sure that you can see clearly and safely through any weather. The MOT check looks at damage to your windscreen and the functionality of your wipers. There are two different areas to look for damage to your windscreen: the area immediately in the driver’s field of view & the surrounding area outside of that. If there’s a chip in the glass right in the driver’s field of view it has to be less than 10mm in diameter to pass an MOT. Outside of that zone, cracks in the windscreen need to be less than 40mm in diameter to be within safe and legal limits. Many insurance companies offer free screen replacement services under comprehensive cover policies, so if your windscreen is damaged this should be done before taking your car for its MOT test. Your windscreen wipers are tested to make sure that they can clear enough of your forward view when driving in the rain. Your windscreen washers are also tested to check that they spray enough liquid on to the glass. It’s important to make sure that they are in full working order before the test and it’s worth making sure you have enough screen wash in your car to perform the test. Wiper blades are available from ATS Euromaster, with free fitting when booked online. Tyres are assessed on a number of criteria relating to whether or not each tyre is safe to use on the road. It should be immediately apparent if a tyre is bald, but you can easily check how much legal tread you have left on your tyres before your MOT. You can check your tread is within the legal limit of 1.6mm with a 20p coin: if you put the coin in between the tread on your tyres and the coin’s outer ‘band’ doesn’t show at all, your tyres should be within legal tread limits. Many tyres have tread depth indicators between the tyre tread to make it easier to see how close your tread is to its legal limit. The indicator looks like a bar between the ‘trenches’ of your car’s tread patterns; if your tread is worn down enough that the indicators are flush with the tread, creating a bridge, your tyres are on or near the minimum legal limit and most likely need replacing. 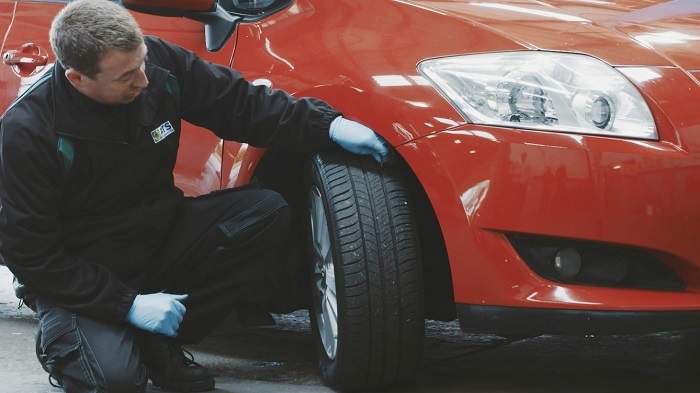 Unusual bulges and cracks in the tyres can also lead to MOT failure, they’re usually an indication of a problem in the structure of the tyre itself. Contrary to popular belief the spare tyre is not checked as part of an MOT, but you may be advised on it if in a worn state. To test your shock absorbers are working well, press down firmly on the front of your car to see if it smoothly returns to its standing position. If it bounces or returns too quickly your shock absorbers could be weakened. Other suspension problems can be much harder to diagnose. Book your car in for a suspension check at ATS Euromaster and our expert technicians will give you a full and honest assessment. There are two main areas that your brakes are checked on during its MOT: the first assesses the physical brake components themselves to see whether they are in a good and safe condition for everyday use. 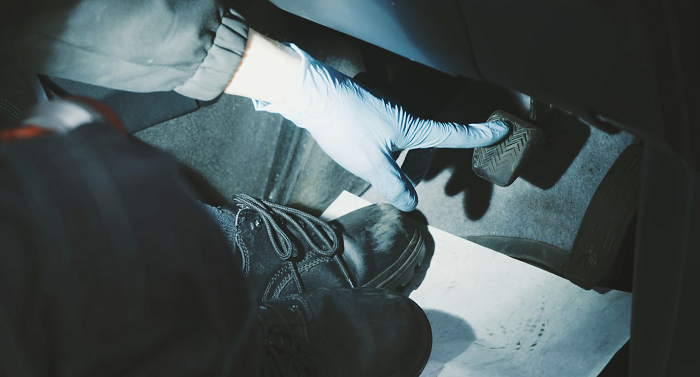 These checks include the brake pedal itself to assess whether its secure and fit for purpose, and it’s worth remembering that the rubber pad on the pedal is also checked; if the rubber is worn, loose or not there at all it can be cause for MOT failure. External components checked for excessive wear include but are not limited to: the brake servo unit, brake master cylinder, brake pipes and mechanical braking components. If there are any leaks coming from these areas it is recommended that you have your car inspected immediately. The second part of the test places your car on a Rolling Road Brake Test to assess your car’s braking ability by checking the stopping distance to see if it conforms with legal requirements. If you’re in any doubt about the health or effectiveness of your car’s brakes, you can book your car in for a free brake test at ATS Euromaster. Our skilled team will provide you with a full, honest appraisal of your car’s brakes system and advise you on how to proceed from there. The easiest examination you can do of your car’s brakes involves checking the brake pads. Many callipers have a ‘window’ cut into them so you can see how much life is left in your brake pad. You can also make use of ATS Euromaster’s free brake check to get a complete idea of the health of your car’s brakes. Unless you spend more time cleaning your car than you do driving it, chances are you’ll spend most of your time interacting with your car from the inside. It makes sense to ensure that the inside of the car is a safe, non-distracting environment for the driver so a number of checks are made to the interior of the car. The driver’s seat is checked to make sure that it can be adjusted to different positions, ensuring both comfort and safety of the driver. The inside of the windscreen is checked slightly differently to the exterior, with anything blocking the driver’s field of view (including parking permits, sat-nav mounts and air fresheners) becoming a potential reason for an MOT rejection.